Welcome to the official Five Stars Volleyball Club website. Through our club, camps, leagues, and private lessons, we help our athletes reach their fullest potential. We strive to further our athletes' physical and technical skills, and emphasize hard work, sportsmanship, discipline, and character. 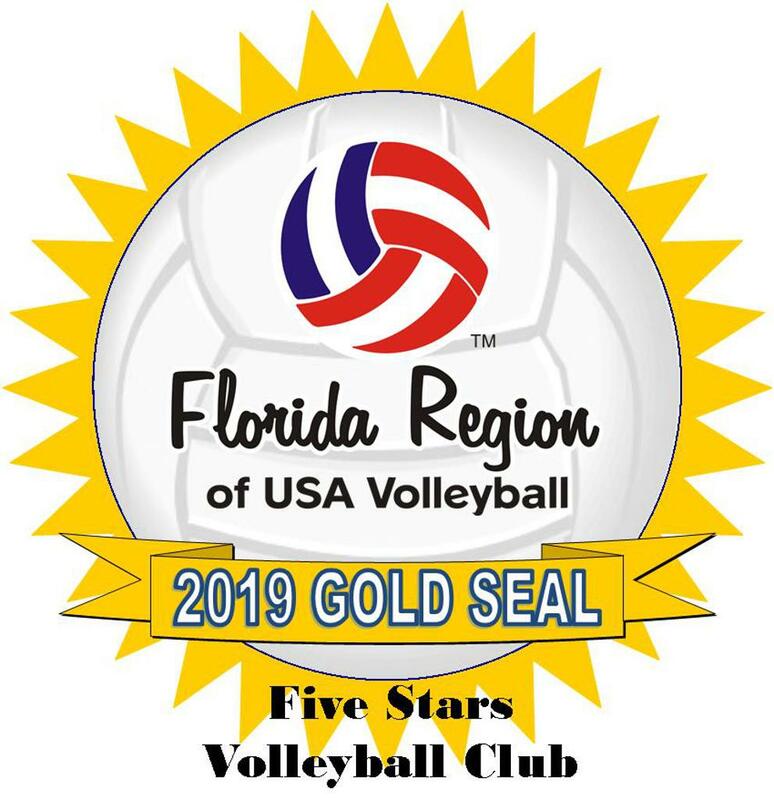 Get your 2018-19 USAV FL Region Membership HERE! Don't forget to check our Five Stars News!